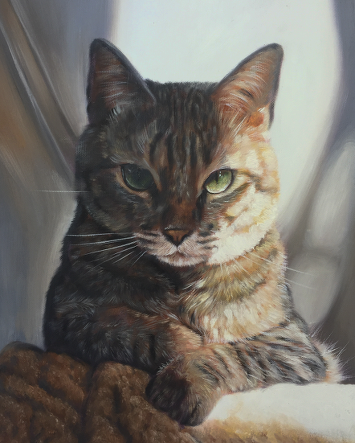 Our custom pet painting option gives you total freedom over your portrait. Yes, that's right. You are the patron and we serve to bring your work into being. Check out the examples below, then tell us your idea! Original Request: "Our dog as a character from that popular film series." Ernest Hemingway's Big game hunting trophy." Original Request: "My cat as Napoleon!" Your Turn! Describe the painting you envision in detail. We'll tell you the price and the next steps. Price quotes for custom paintings depend on number of pets, complexity, presence of human faces, level of detail, and other factors. Check out our blog and the Splendid Beast Instagram page for even more examples.